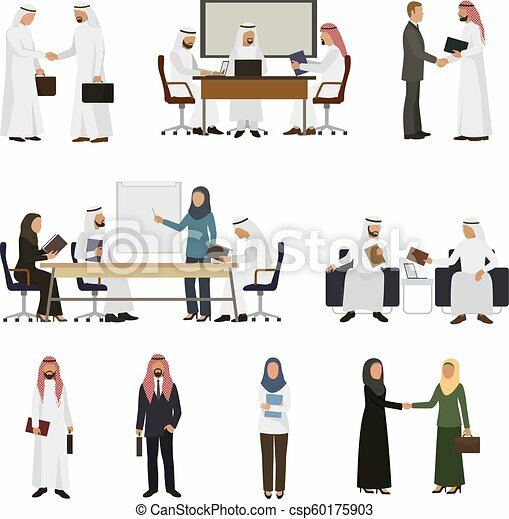 Arab businessman vector arabian business people handshaking to his business partner illustration set of arabic businesswoman working in office isolated on white background. 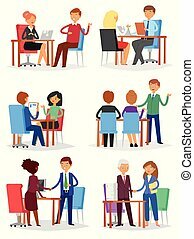 Interview vector interviewed people on business meeting and interviewee or interviewer in office illustration set of man or woman worker characters isolated on white background. 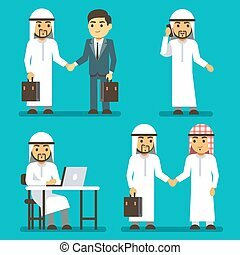 Arab Business people in arabian national dress are trying to raise the graph of growth of income of the company. The concept of teamwork. Vector illustration, isolated on white background. 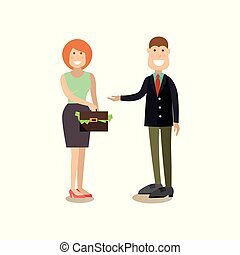 Vector illustration of businesswoman giving briefcase full of paper money to businessman. Business people flat style design elements, icons isolated on white background. 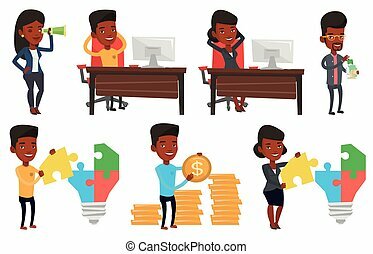 Vector illustration of office people taking break, signing contract, working on computer at workplace. 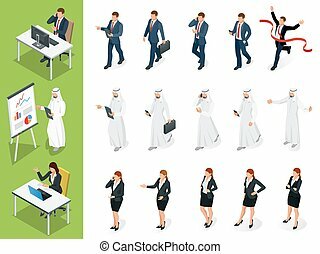 Business people, symbols, icons isolated on white background. Flat style design elements. 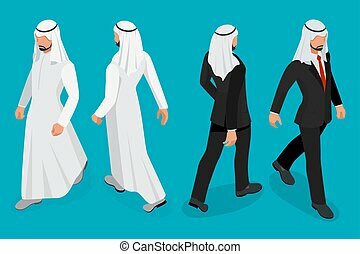 Arab Business people in national dress are trying to raise the graph of growth of income of the company. The concept of teamwork. Vector illustration, isolated on white background. 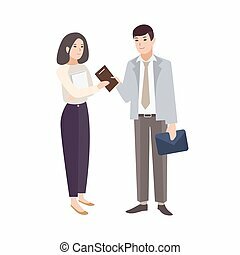 Vector illustration of office people giving presentation, taking part in conference and workshop, making a deal. Business people, symbols, icons isolated on white background. Flat style design. Satisfied business man sitting at workplace in the office. Business man relaxing in the office with his hands clasped behind head. Set of vector flat design illustrations isolated on white background. 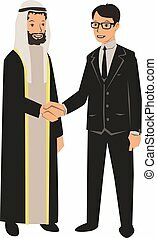 Arab and European businessmen shaking hands. 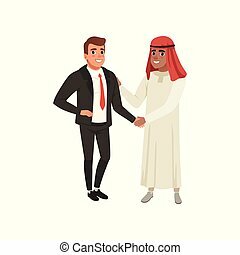 Business meeting with Arab partners. Vector illustration, isolated on white background. 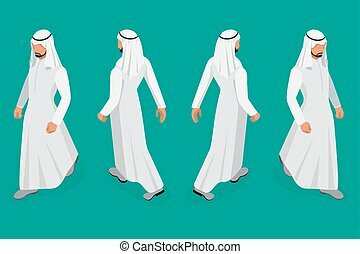 Set of Businessman Arab Man on white background. Isometric character poses. Cartoon people. Create your own design for vector.